Just got this from the Classic Rendezvous board. Great info. My wife and girls headed to San Francisco yesterday for a short vacation before the spring and summer crazy life begins. After some honey do's this morning it was over to the shop to finally put this bike together. The front wheel will need to be trued a little before I take it out but it's good to go. When the roads get all the sand, etc. swept off them I'll put the tubulars on. Can't wait to see what that does to the bike - both weight and ride. You have to hate it when you take a photo and realize you missed a spot with the bar tape. Gonna have to fix that. The bar tape is an interesting product that I haven't used before. It's from noble Cycling and is called a silicone foam handlebar. No adhesive on the back, quite stretchy and feels almost like rubber. I think I'm going to like it. Weird bike. Surprising the idea ever got approved. Why would a customer want an Italian bike but with a Nishiki label? Perhaps cheaper than the equivalent Olmo or such. Glad you found it, though. Probably not a lot of them around. As noted, Nishiki was an American marketing brand owned by West Coast Cycle. 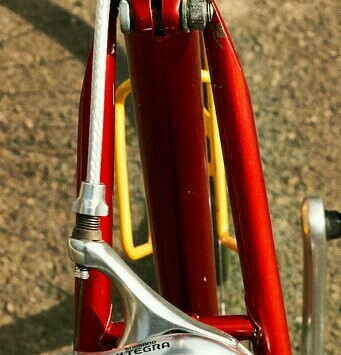 The brand had originally started out as American Eagle then got a name change to Nishiki in 1972 after the prime source was switched to Kawamura and the American public started becoming more receptive to Japanese manufactured bicycles. However, while the Japanese came to dominate the entry level market by the end of the boom and made significant progress in the mid-range during the late 1970s, sales of high end models were disappointing. The American marketing companies yearned for the prestige and praise of respected high end bicycles. When that was not forthcoming from their Japanese manufactured models with Japanese components, they reasoned they could achieve it by equipping Japanese frames with Campagnolo components. 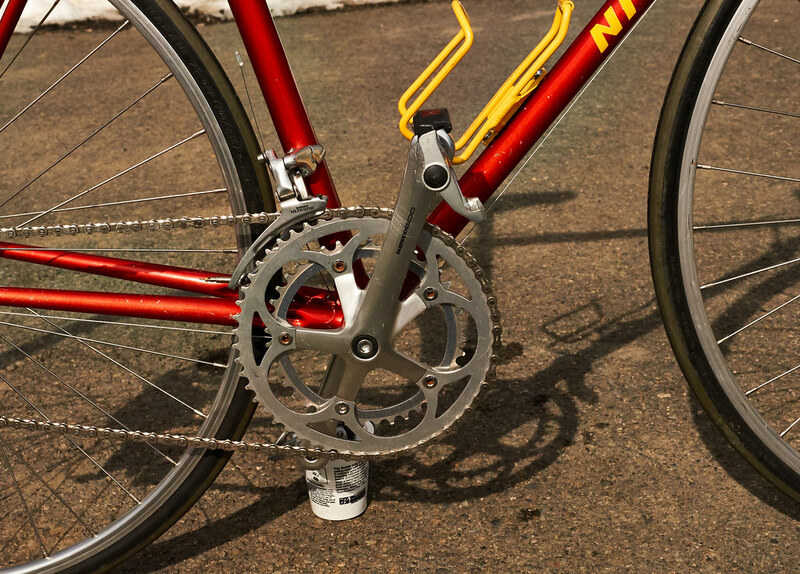 In the very early 1980s, Nishiki offered the Professional and Ultimate in this configuration. 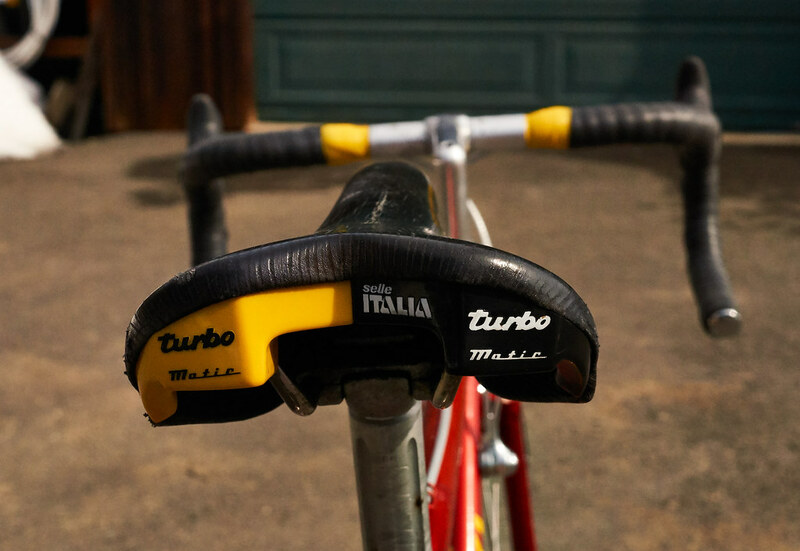 However, sales did not improve and in the mid-1980s, they reasoned the best way to crack the high end market was to have high end models manufactured in Italy using Campagnolo components. West Coast Cycle contracted Italian builders to manufacture the Cervino and Maxima. They were not alone in this practice. 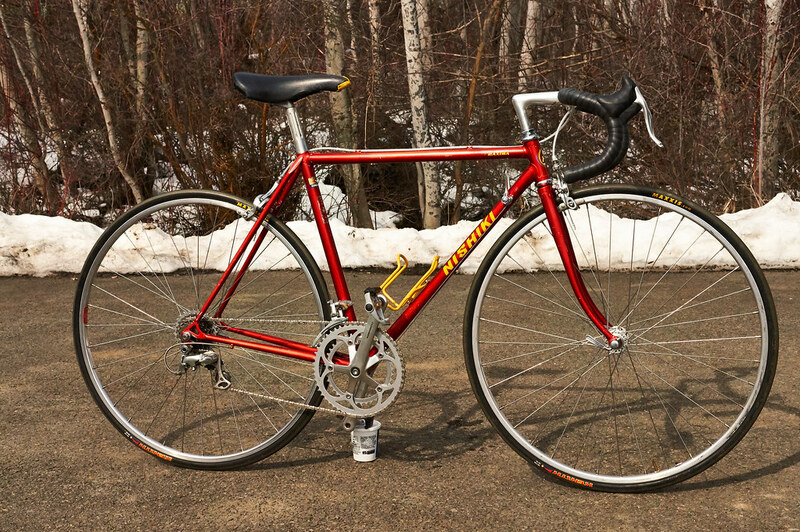 Western States Imports had the Centurion Cinelli Equipe manufactured in Italy and Lotus sourced their Supreme, Competition and Legend Compe from Italy around the same time. However, even these attempts had limited success. The American marketing firms always seemed to be a step behind in the high end market. They could probably have sold Campagnolo equipped Japanese frames during the boom. That's when Americans were buying their high end bicycles from full range manufacturers, like Peugeot and Raleigh. However, as the avid American cyclist y become more educated in bicycles in the aftermath of the boom, there was a shift towards the high end, limited production manufacturers, which were often Italian. Relatively unknown brands, such as Ciocc, Guerciotti and PInarello ascended to prominence. Ironically, this shift had been triggered by the full range manufacturers, including the Japanese. When the bicycle boom went bust in 1975, there was lots of surplus inventory and the big companies were looking to stay viable in a substantially shrunken market. Up to that time, the importation and distribution of bicycles was handled largely by independent companies. By eliminating the middle man and setting up their own distribution divisions, the larger companies could increase their profit margin and maintained viability, even with reduced sales. However, this move resulted in a lot of smaller importers going out of business and the disappearance of many of the smaller full range brands. Those that survived or were brave enough to enter the smaller marketplace, looked for something more exclusive. The small, limited production Italian brands did not have the money or were reluctant to set up their own distribution channels and were more than willing to have American representatives establish a new market for them. Furthermore, the history and exclusiveness of these small brands appealed to the status conscious American high end cyclist. Then, just as the Nishiki, Centurion and Lotus started coming from Italian craftsmen, the USA market did an about face. 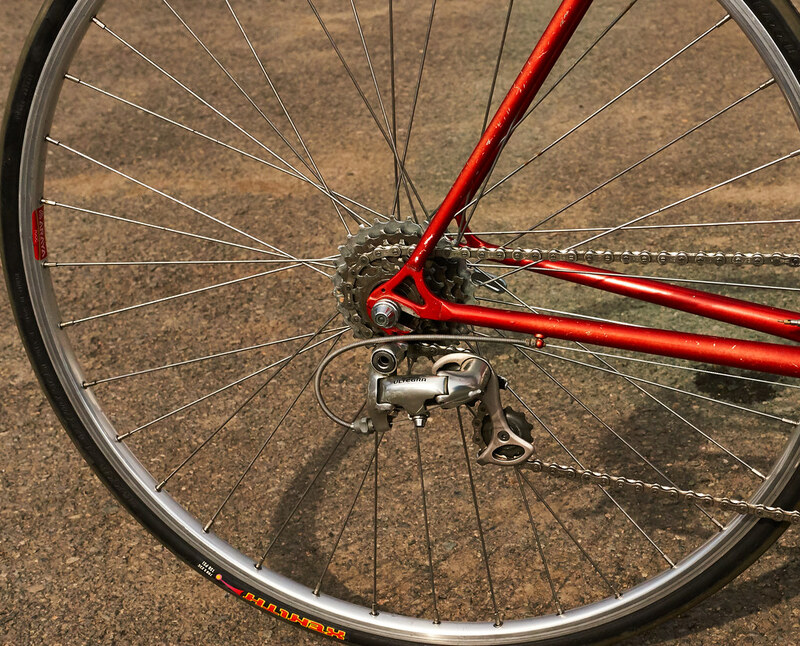 Shimano introduced New Dura-Ace (7400 series) with SIS indexed shifting in 1985 and it became the darling of the yuppie crowd. 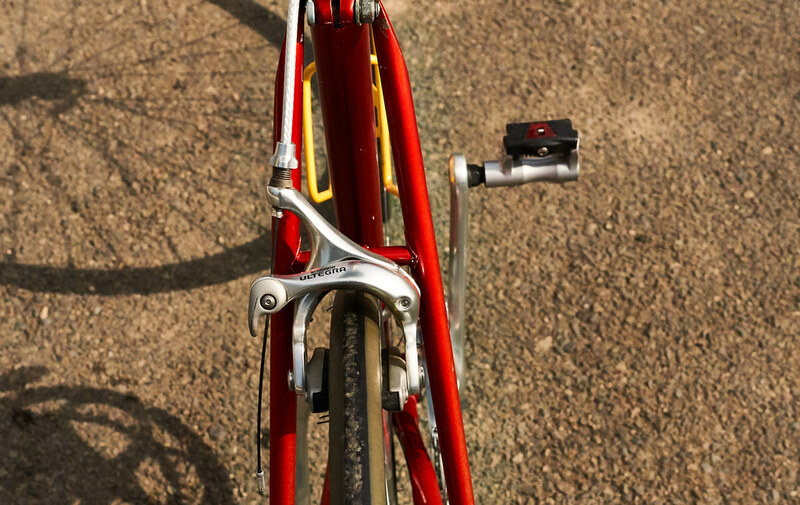 The late 1980s was a dark period for Campagnolo, with the sun shining brightly on Shimano. The independent distributors responded quickly, offering their high profile Italian frames with Shimano groups. A this point, the American marketing threw in the towel on their attempts to crack the high end. They would revert back to Japanese manufacture and offer high end models but never pursue it aggressively, focusing instead on the mid-range sports/triathlon market and/or the lucrative, burgeoning ATB market. In short, these bicycles were the result of a desire to achieve the status afforded by a successful high end range. However, in the aftermath the boom, this was difficult to achieve for a full range brand, especially a marketing brand without their own manufacturing capability. Full range manufacturers would not start to regain high end status until the carbon fibre monocque era. Regarding the Maxima, I had one. Nice enough frame but nothing special for the era. Looking inside the BB shell during an overhaul, I noticed that none of the tube ends were mitred. At the time, I wasn't surprised, considering this cost concession typical of it's marketing brand heritage. Last edited by T-Mar; 03-17-19 at 09:12 AM. Thanks T-Mar @T-Mar. I'm definitely curious to see how this bike compares to my PX-10, Vitus 979 and Super Vitus framed bikes. It's the only Columbus framed ride I have. In general, I find French bicycles to be less stiff and have slightly vague steering. Conversely, for similar geometry and wheels/tyres, I find them slightly more cushioning. I've always attributed this to the metric diameter tubing. In addition to the differences in stiffness inherent in the metric versus imperial diameter tubing, the Columbus SP is also heavier gauge than the Super Vitus or Reynolds 531 in the PX10. This should makes the differences even more noticeable. How much you notice it and your preference will depend heavily on your riding style. I'm a relatively strong and aggressive ex-competitive rider who prefers a responsive and predictable bicycle, so I favour imperial diameter tubing, ideally with a heavy gauge down tube and chain stays. The Maxima suited my riding style fairly well, though being full SP, it was a bit heavier than what I was used to and was harsher riding. It wasn't a huge difference but the type of thing that would make itself known as increased fatigue over the course of a long events, especially those with long climbs. Took it out for a 20 mile shake down this afternoon. All the roads here are chip seal. 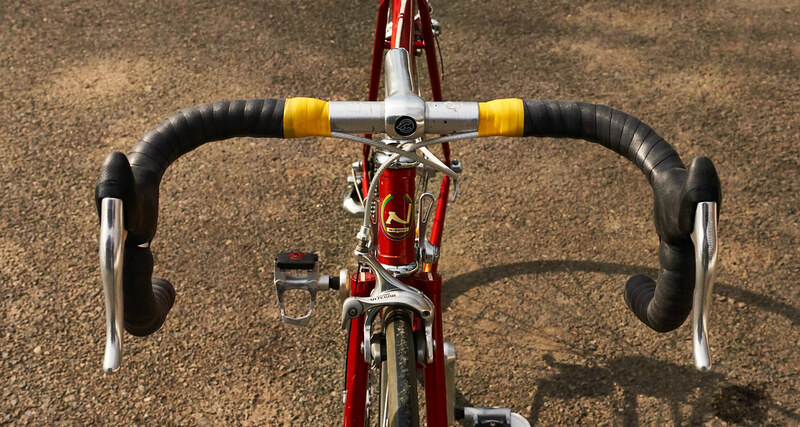 Definitely felt like it didn't absorb the road imperfections as much as the Super Vitus or Vitus 979 frames. Th PX10 531 frame does a good job of absorbing the bumps. I would put this on par with my Vitus 788 Gitane Sprint over rougher chip seal. That said I liked the responsiveness on the bike, especially when getting out of the saddle. That should get even better with tubulars. The steering felt quick and sure. Overall, a fun bike to ride for my style which is as a loner who pushes fairly hard every ride. I would say you have an Italian bike with a Japanese brand name pasted on it. Go full Nuovo Record on the components, with the possible exception of the head set. Get a Tange or other sealed head set - less maintenance and super low cost. Thanks for the suggestion. Three straight days of riding the bike and I'm happy with what I put on it. Rides great, handles great and looks great. Pfft!, my bad. I missed the entire update you posted above. I was reacting to the original equipment on the bike. I especially like the fork crown, it looks really well done. Your new gear looks great. I was especially concerned about the brakes but the replacement stuff looks great. Welcome to the world of red bikes. I love the paint color, kind of candy apple red. Red bikes go faster! Next time you're in the seattle area, go to Gregg's and pickup a few $2.50 chromoly seatpost bolts. They're pretty nice and look just like the sugino ones. You'll find yourself in good company--the "new" Fiat 125 is a Miata with only a different nameplate and a couple cosmetic changes. Thanks. That seat post binder bolt is driving me nuts and I will definitely replace it. Welcome to the club I have two Nishiki Professionals which are brothers to your Maxima and later Ultimate. To read more about Nishiki William Bevington/Scott Ryder have released their book which is an excellent review of Japanese vintage bikes "Japanese Steel-Classic Bicycle Design from Japan". 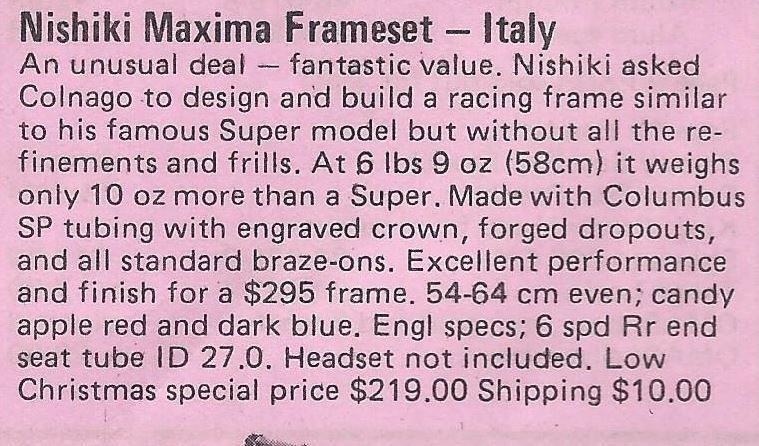 They have a very nice write up on Nishiki and their top of the line models. You have a rare bike and as you've discovered a very nice ride, enjoy. Last edited by since6; 03-20-19 at 09:54 PM.